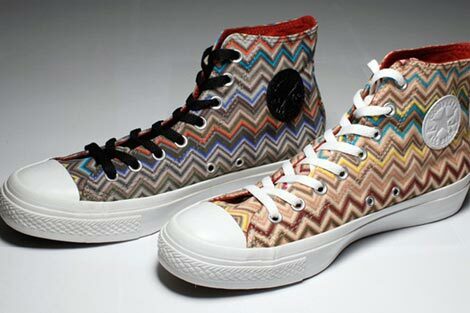 One of my favorite iconic prints ever, Missoni got a Converse interpretation. 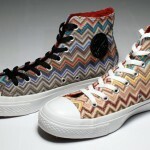 Missoni’s zig-zag-ed a pair of Chuck Taylor High Converse sneakers for the Spring/Summer 2010 collection. 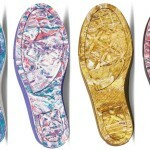 OK, I didn’t give a hoot about the Liberty print Nikes, but THESE I LOVE! I am a Chuck Taylor Converse girl! I have been for yonks! These are funky and cute! LOVE THEM!